Bremen, April 3rd, 2012 – After careful comparison and in-depth analysis, German owner Hansa Shipping together with Chinese shipyard Jiangsu New Yangzi Shipbuilding have decided to equip four new 4,800 TEU vessels with the German ballast water treatment technology CleanBallast® by RWO, a subsidiary of VeoliaWater Solutions & Technologies. The plants will be delivered during the course of 2012. In addition to the CleanBallast® ballast water treatment systems, Hansa Shipping GmbH has decided to complete the water treatment system of the new vessels with further one-stop-shop solutions. For onboard sewage treatment, RWO’sWWT-LC plants will be installed, as well as its oilwaterseparators SKIT/S-DEB to ensure best results in treating oily water. The type-approved CleanBallast® technology has been extensively tested in and designed for real-life conditions, which is an essential prerequisite in order to guarantee a rapid and reliable intake of ballast water. The efficient removal of the sediments also considerably lowers tank-cleaning costs, prevents the loss of valuable load capacities and furthermore leads to fuel savings. 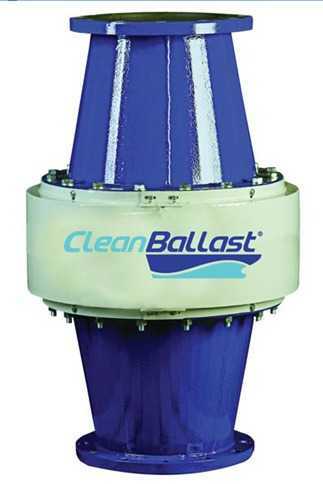 Currently, 36 CleanBallast® systems have already been successfully put into commercial operation. The start-up of most of these units took place in China where they were tested with water from the Yangtze River, one of the most difficult ballast waters in the world.